FINALLY! 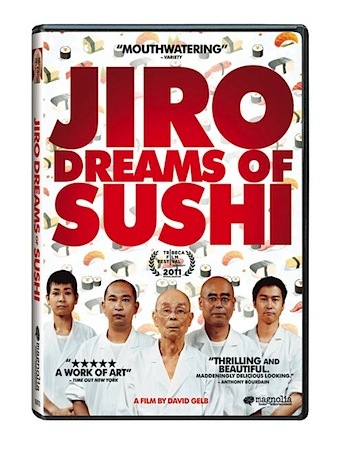 It took a year, but I finally watched JIRO DREAMS OF SUSHI and boy what a treat!! So inspirational and mouthwatering, I didn’t mind the subtitles one bit. I felt so many things watching this movie because Jiro Ono is 85 years old, so I wanted to hop a plane to Tokyo to experience Sukiyabashi Jiro before he retires, but who other than someone like Questlove can plan a trip to Tokyo at the spur of the moment? Besides, Jiro’s Michelin-3 star restaurant is located in a Tokyo subway station with only 10 seats, so I’m not guaranteed a reservation anytime soon. LIVE your life, LIVE your passion and be the absolute best at whatever you do.